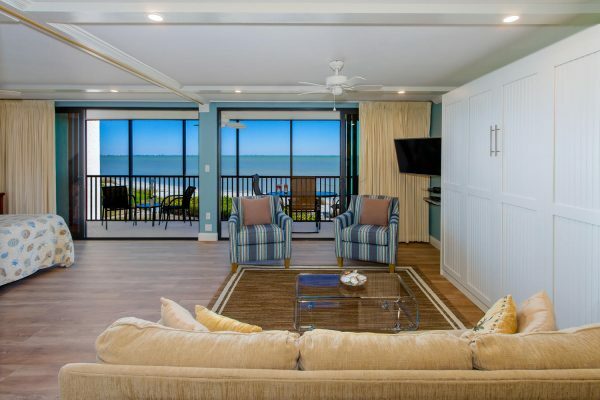 Third floor, very comfortable, 920 square feet, light and bright, open floor plan 1 bedroom/ 1 bath condo with panoramic Gulf front views. 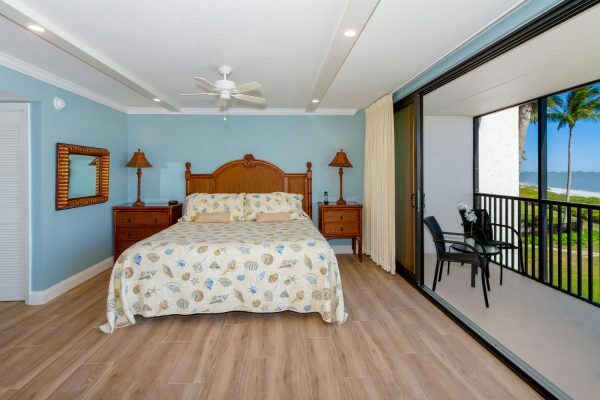 Newly tiled and recently renovated. 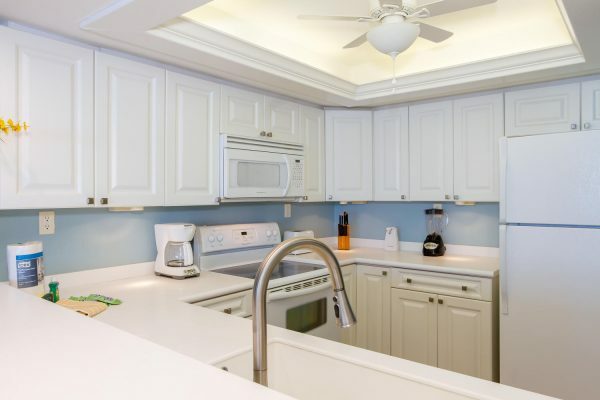 Features a full kitchen complete with housewares, spacious living room and dining area. 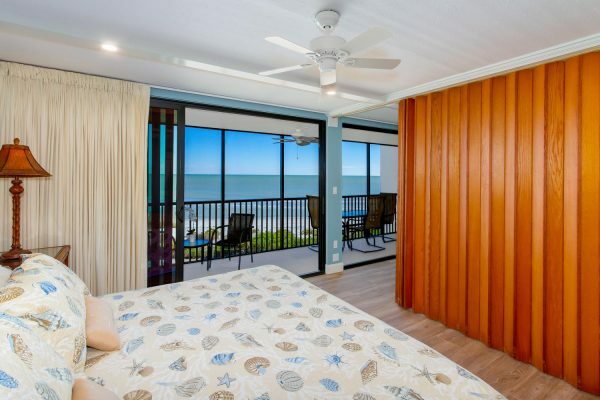 The bedroom and living room are separated by a retractable partition. 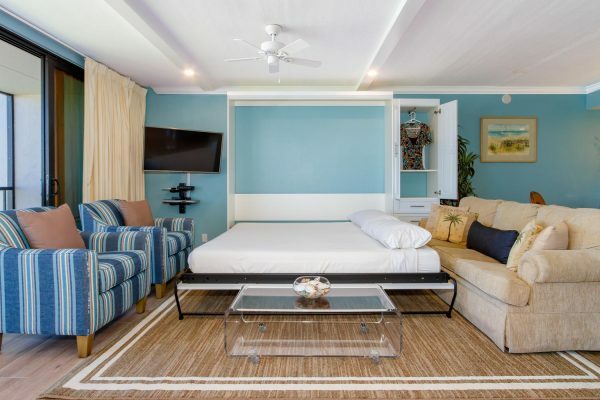 The living room has a king sized Murphy bed. 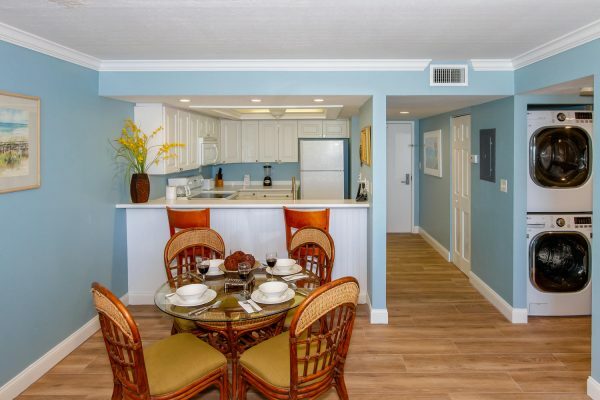 Accommodates up to 4 guests. 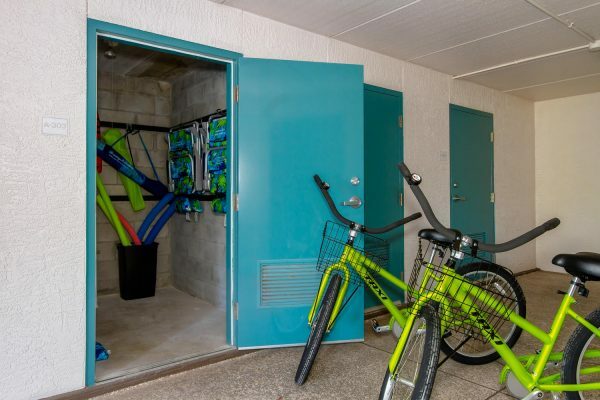 Two FREE adult bikes, WiFi, Washer/Dryer in unit, 2 TVs, King-size bed in master bedroom. 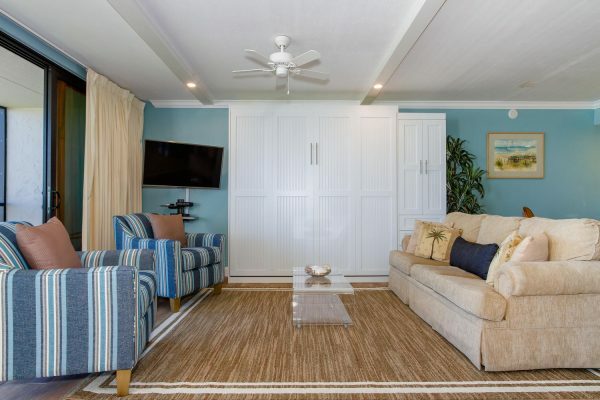 Comfortable and bright living room has sliding glass doors to the screened lanai less than 25 feet from the white, sandy beach. 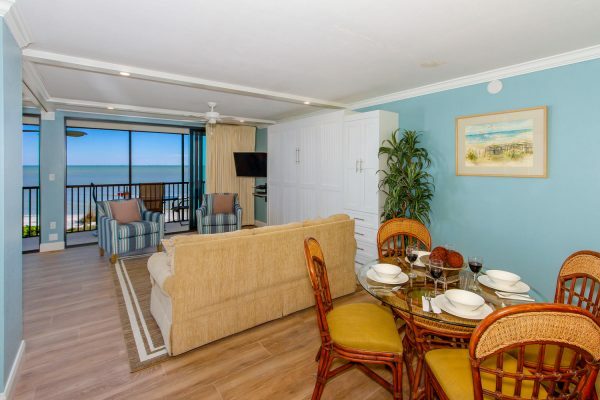 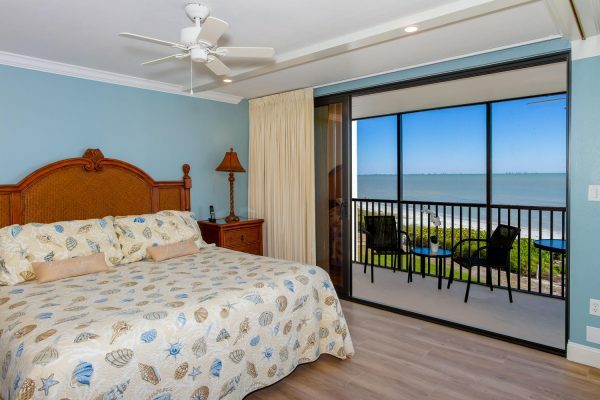 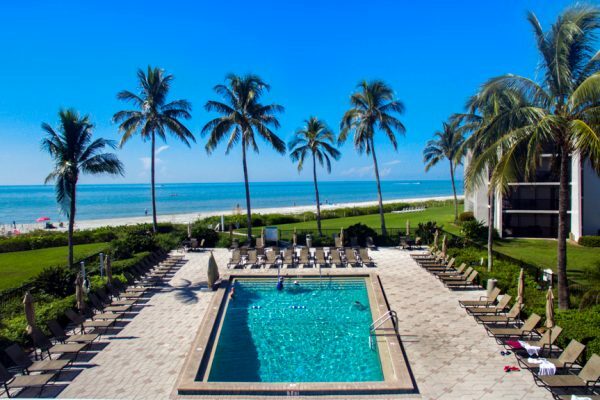 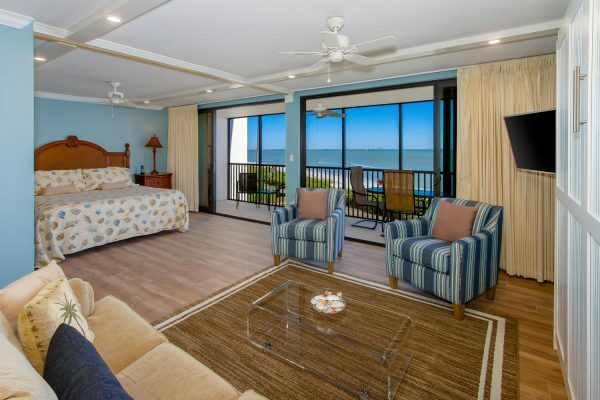 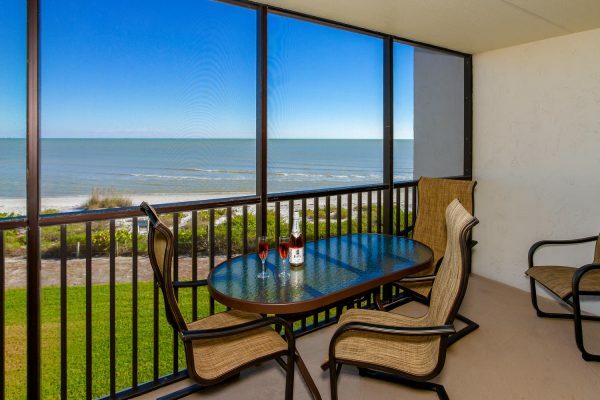 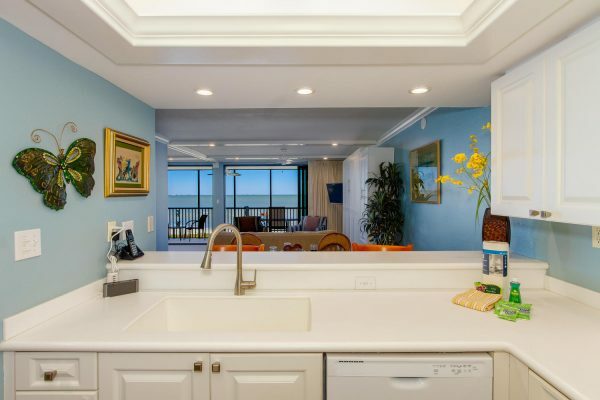 We use a reputable management company located on Sanibel to give you a totally carefree vacation.